In the hopes of having community members better prepared if a “God-forbid”-type of scenario was to one day become a reality, the Ocean View Police Department held CRASE — Civilian Response to Active Shooter Events — training last month, with the idea of helping civilians know how to respond to life-threatening situations that seemingly plague the news these days. McLaughlin started efforts more than 10 years ago to train police, fire and EMS officials on how to work together to respond to an active-shooter event; however, he said, the missing component was the civilians who will already be on-scene. “We’ve got to get that training pushed down to the citizens, because you’re going to be on-scene before we’re on-scene,” he said. Murray said the Columbine High School shooting of April 1999 changed the way emergency responders look at active-shooter situations. He noted that many teachers instructed students to hid under their desks — a tactic that they themselves had been taught. Back then, police staged and set up a perimeter before entering a building where an active shooting was occurring. “Today, as a result of that incident 19 years ago, there is no more waiting,” he said. “Today, if something like that happens, the first officer on scene enters the building and stops the killing. Civilians were taught to remember ADD — Avoid, Deny and Defend. Murray said the idea of “social proof,” where humans look to other humans to base their reaction to an incident, can be critical in a crisis. Murray said people should pay attention to their surroundings, no matter where they are. OVPD Sgt. Rhys Bradshaw said more than 50 percent of attacks take place in areas of commerce, such as movie theaters, stores, etc. Bradshaw said civilians should consider getting a concealed carry permit. If an incident were to occur locally, say at Lord Baltimore Elementary School, the police officers in town could be there in three minutes. “Three minutes is a long time. You can do a lot of damage in three minutes, whether it’s a handgun or rifle… I can shoot my handgun — I have 30 rounds on me — I can shoot that in 15, 20 seconds. Three minutes is a long time. If they’re in a situation where they cannot leave an area, civilians should instead look to deny entry to any person who may cause harm. Individuals can turn the lights off, barricade the entrance, or use a belt or rope to create a tactical cinch on a door. Then, there are moments when civilians will have to defend themselves. Murray said how people act will influence those around them who were not prepared for an incident. Bradshaw said that, in the age of technology, Sussex County’s emergency center (SussCom) would be inundated with calls and texts about the incident. Individuals will post images and video footage to social media accounts. Bradshaw said the priority of those police on scene is to “stop the killing,” noting that responding officers could be stepping over victims or ignoring pleas for help from victims. “Take this information back home, back to your communities, and share it with others,” added McLaughlin. During the question and answer portion of the evening, McLaughlin said that he believed “playing dead” would not be a good way to respond to an active-shooter situation, citing the shootings at Columbine and Virginia Tech. McLaughlin also said that the Sussex County 911 center is up and running with “Text 911” where individuals can text, instead of calling, a 911 center. “You may find yourself in a situation where you need to be quiet and you can’t talk,” he said, noting that technology could be very beneficial. One attendee asked if there are plans to bring the training into local schools. McLaughlin said some training with students has been done at the high-school level, but he said it has been limited. 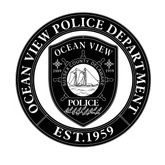 The Ocean View Town Council has publically stated it would like to look into forming a countywide police force. McLaughlin said, currently, if an incident were to occur locally, his department would be the first-responders. “We have no county police department. We have no SWAT team available. If something goes down and there’s a barricaded suspect with hostages, it’s going to be myself, Rhys and [OFC] Troy [Bowden] going out and handling that call. Jay Innes noted that in Maryland there are police departments that serve whole counties. McLaughlin said that having a countywide police force could quadruple county taxes. Cyndie Ganc, a Sunset Harbor resident, attended the training with her husband due to the subject matter being a current issue. Ganc said her daughter is a teacher in Washington state, and her school did an active-shooter simulation with pellet guns. Ganc said the CRASE class was an amazing service and recommended others take the initiative to learn what they can do in such a situation. Following the class, Sussex County Paramedics Cody Grosch and Alix Faust were on hand to teach attendees how to do basic CPR and stop bleeds using tourniquets. McLaughlin said the training empowers individuals to not allow themselves to be victims. “Knowledge is power. If people know what to look for, know how to react, even if they’ve had just a little bit of training… hopefully, they can recognize something that is wrong and take the appropriate action,” he said. More than 40 people were in attendance at the class, and McLaughlin said the department would be more than willing to offer the training to any group that requested it. Those interested in taking CRASE may contact the Ocean View Police Department at (302) 539-1111.